I am always making things. Activities that do not produce a tangible item to hold is a waste of precious time. Since as a young child, I have lived in awe of the earth from the micro-biosphere to galaxies. It is therefore only natural that I take my childhood love of drawing to remember what I have experienced in color, line and value and apply this to my present artwork. I use pastel for many reasons. One reason is the tactile feel of the pastel stick appeals to me. Another reason is because I am an impatient painter, and the medium of soft pastel is fast. I find using pastel is fun when I go outside the lines and let the color go where it wants. Above all else, when painting, I love the feeling of getting into a zone where the world is lost to me, time doesn’t exist and my focus narrows to just the small space around the easel. Like many artists, drawing and painting was a part of Nancy Welter’s early childhood. Some meditate and do yoga to de-stress their lives. Drawing and painting has served that function for her. It is a part of her heart and soul. She loses time and place when she delves into the creative process. Since the early ‘90s, Welter has studied watercolor, charcoal, graphite and soft pastel at the Art Student’s League in Denver. Within the last four years, she settled on soft pastel as her medium of choice. 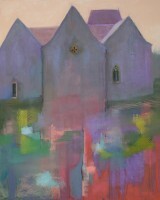 Presently, she is working on a wide range of landscapes, wedding commemorative portraits and still life. Welter has been juried into the Mile High International Exhibition four years in a row starting in 2014. 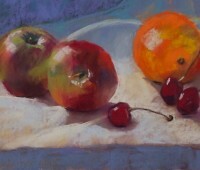 She has been juried into the 24th National Pastel Exhibition in New Mexico receiving the H. K. Holbein Award ribbon. She received an Honorable Mention award at the Pastel Society Colorado Member's Show at the Rocky Mountain College of Art and Design in January 2016. 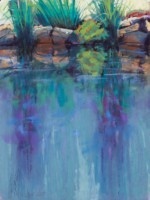 She was awarded second place ribbon at the "Pure Pigment’ Pastel Society of Colorado Member’s Show in 2017 and third place ribbon for Bear Creek Ramble in the National Greeley Art Exhibition and Sale 2018.